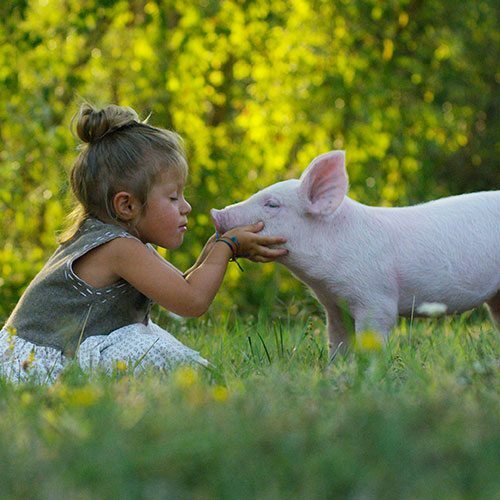 Animal welfare is at the heart of veganism and is a growing area of concern by people around the world as demand for transparency around treatment of animals is increasing. Avoiding food, clothing and entertainment that animals have been used for is a major way vegans campaign against the inhumane treatment of animals. Cattle produce a huge amount of methane that contributes towards global warming. Choosing plant-based meat alternatives that have less detrimental impacts on the environment is a growing area of interest. For example beans, legumes, tofu, nuts, seeds, quinoa and more. Red meat and processed meat like sausages and salami tend to be high in saturated fat that can lead to a range of health problems if eaten in large amounts. For example coronary heart disease, obesity and type II diabetes. Plant-based meat alternatives, like tofu, tend to be much lower in saturated fat. Plus, plant-based fats, like avocado and flaxseeds, tend to have favourable health effects such as containing essential omega-3 fatty acids that helps boost skin health. The benefits of a plant-based diet are endless. More vegetables, fruit, legumes, nuts and seeds means a massive boost of fibre, vitamins, minerals and antioxidants. Did you know that most Australians don’t reach the recommended amount of vegetables in their diet? This may be contributing towards growing lifestyle-related diseases. With the right supplements to avoid vitamin B12, calcium, protein, iron and mineral deficiencies, vegans can enjoy all the benefits of being ‘powered by plants’. With the enormous range of plant-based vegan alternatives these days, going vegan is not as difficult as some may think. Coconut yoghurt, jackfruit, soy cheese, vegan chocolate and bread are just some examples of the many vegan alternatives available. Plus, there’s so much education available now about avoiding nutrient deficiencies to help vegans thrive on their wellness journey! This article is for educational purposes only. Speak to your healthcare practitioner before making changes to your diet.